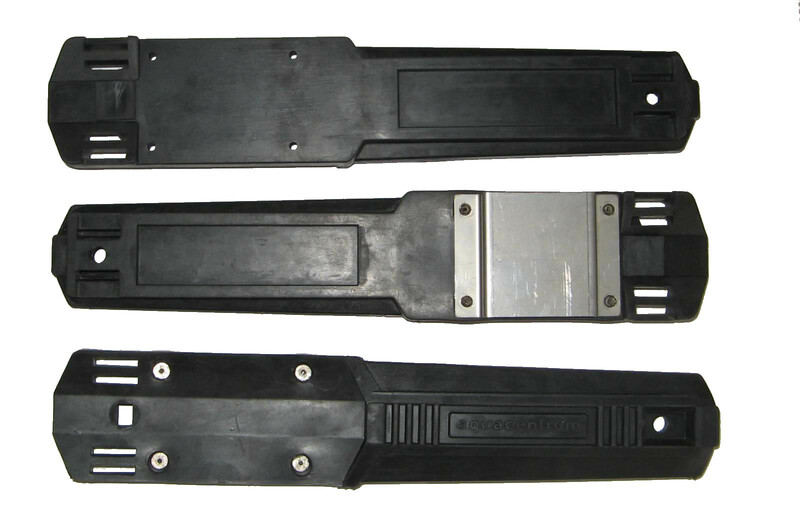 Rubber sheath: sheath made ​​of metal behind the rubber loop attached by four stainless steel rivets and bottom and top of the loop straps for leg or arm diving. 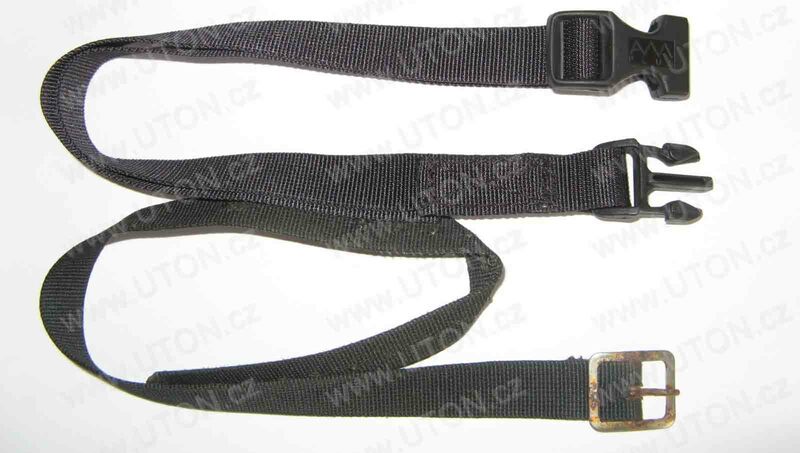 There is also a black version with a metal belt loop and loop variant without tin. 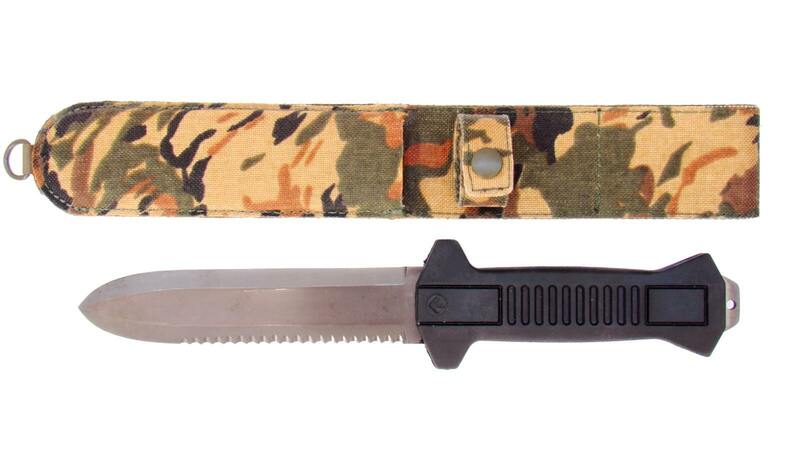 Above the rubber eye to attach a knife to the sheath. 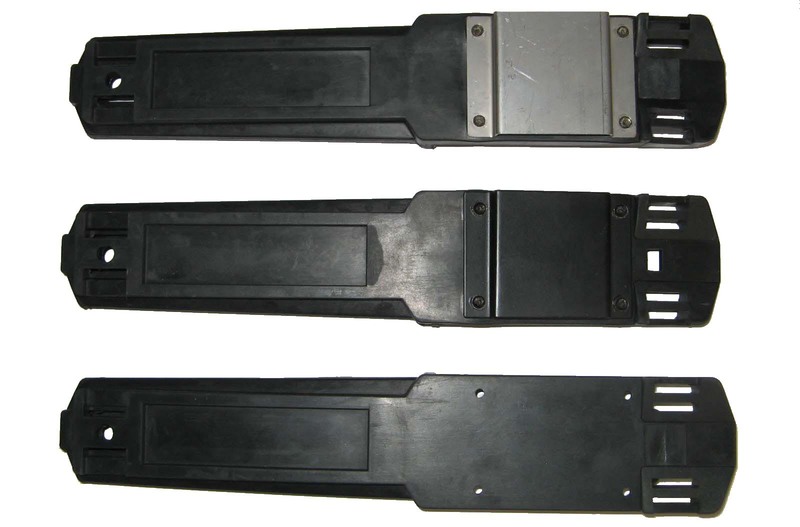 Front in sehath is a sign manufacturer: AquaCentrum. 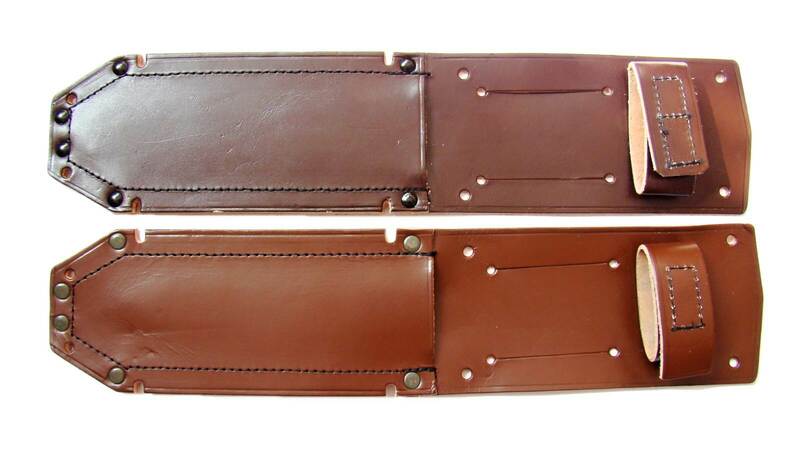 The sheath is now the most seen and most owners it has a knife. 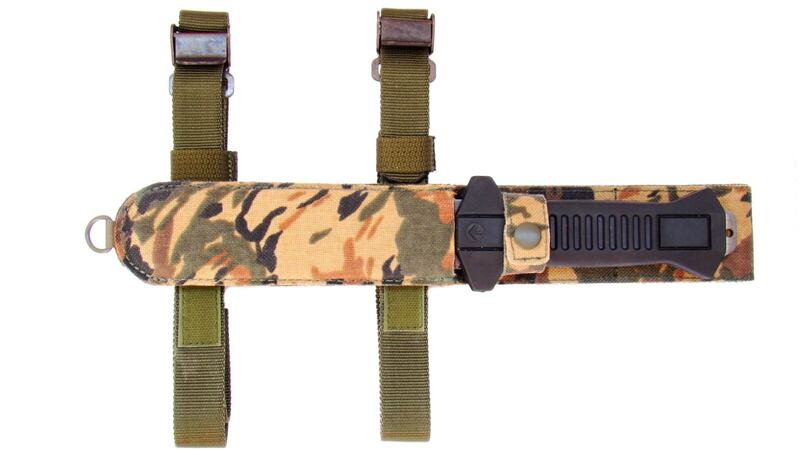 Rubber straps to the sheath were two types: first type was with a metal clip, which eventually caught rust and the second was a more modern type of plastic clip-type fastex. 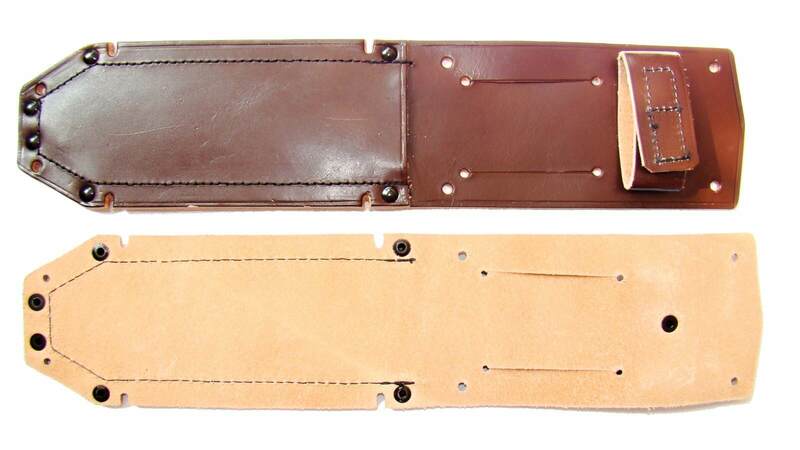 Leather sheath: The troop tests are supplied in a brown knife sheath of soft natural leather with Velcro closure, which is now little to see and usually ended up ruined. 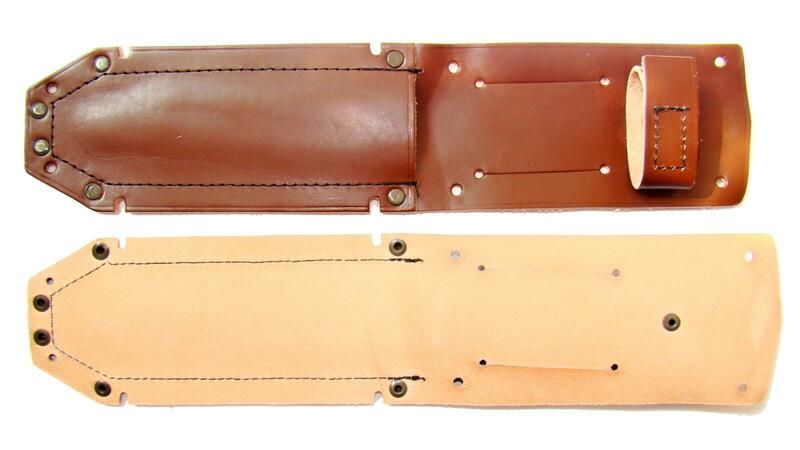 The sheath was made of a thin skin and the knife through it plowed through. 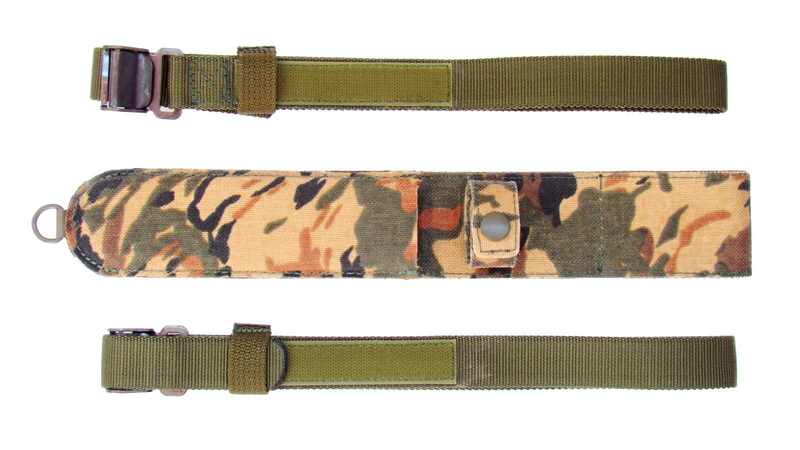 Camouflage sheath: After the year 1989 to supply the army camouflage knife sheath made ​​of plastic and nylon can be fastened to the stud and to give back with two Velcro straps attached to the leg or arm. 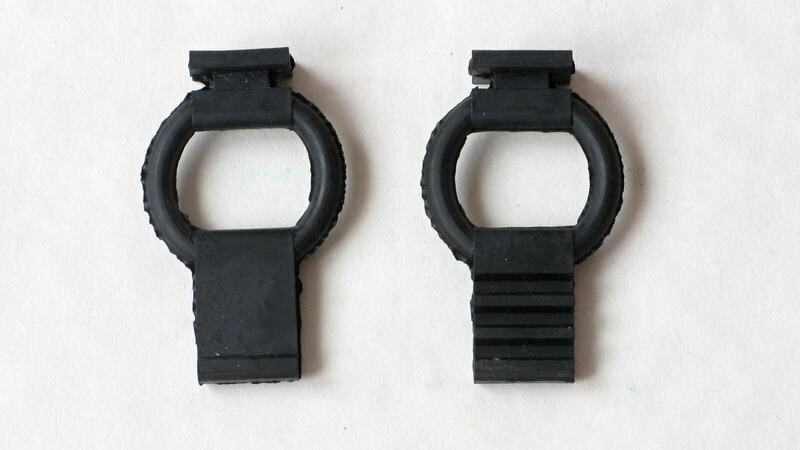 Sheath is ​​given by the wear on your belt loop. 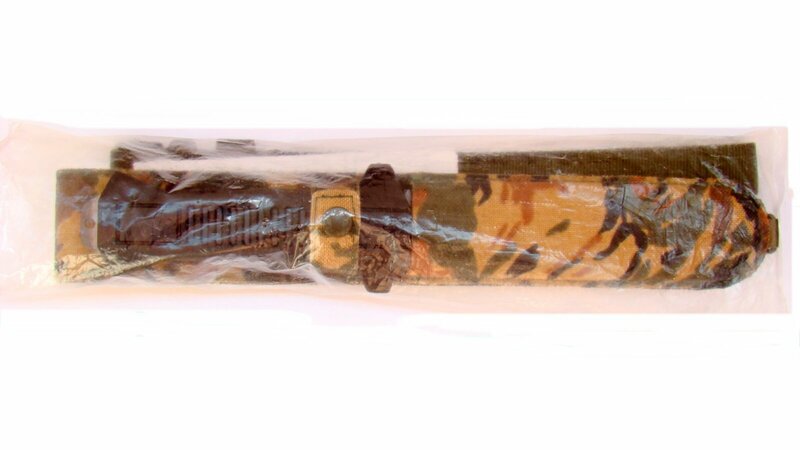 The sheath is now little to see and have it mostly just collectors or military stores . 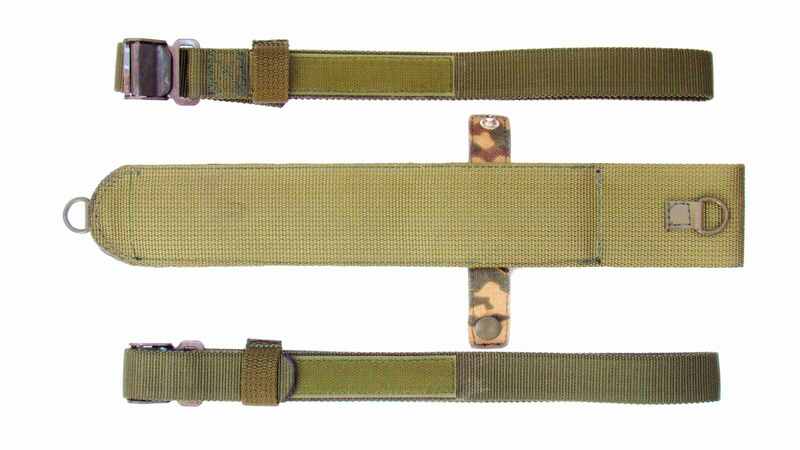 Sheath was developed for Operation Desert Storm. 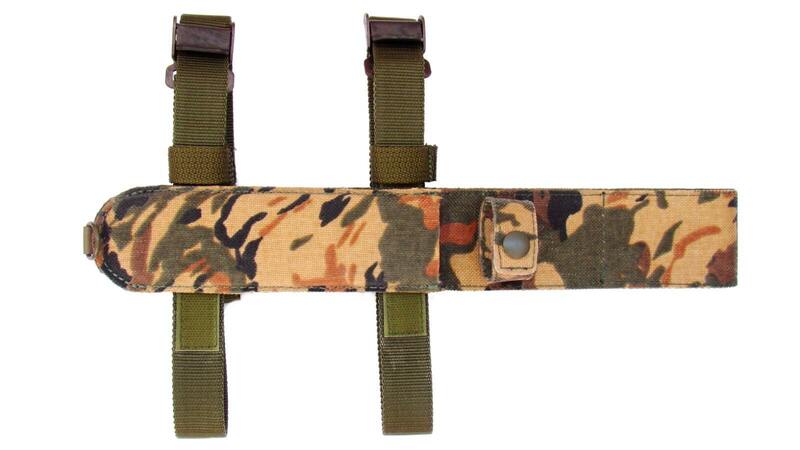 It is interesting camouflage pattern that was used in the manufacture on sheath and elsewhere do not find him.